This lovely patient was unhappy with the porcelain veneers on her front four teeth. She has had them done 13 years ago, now cracked, and discoloured. 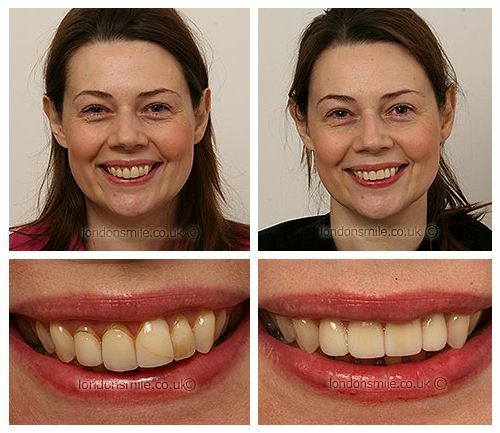 Dr David Jones replaced the veneers, achieving a beautiful, natural result. Had my veneers done with David over 13 years ago and needed them replaced. It exceeded my expectations, as look like my natural teeth. Yes, my brother comes here and would like my other brother come here too. Has your new smile changed your life, what difference will it make to you? Wonderful, first class, 5 star. They were very supportive and professional.